Getting lost in the mirage of your competitors, yet again? Consumers unable to track your website? Search engines ignoring your positioning? Fret not, all such issues would be a thing of past. SEO stands for "Search Engine Optimization." Improving your website's SEO can translate into more visitors, better conversions, more sales, etc. This is why people care about it and why you should, too. Establishing your online presence is just half the work done. Being found by your target audience is the rest. Prominent search engines tag millions of pages and terabytes of data every day in order to help the masses find what they are looking for on the internet. 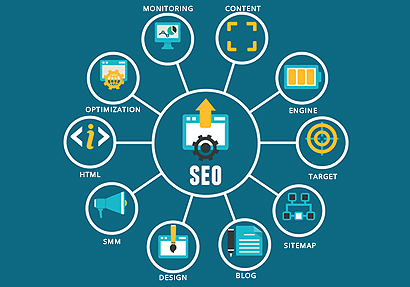 SEO allows you to highlight your services most prominently to the end user who might very well become one of your esteemed customer! If you thought only getting a presence online was sufficient, it’s time you think again. Our services ensure that your content is cataloged in a search friendly way. Improve search rankings, increase organic search traffic and maximize SEO quality of your Drupal site. Your brand's positioning on the first page of imminent search engines not only boost presence but ensures positive growth. Unlike others we not only help you position your brand but also guide you on how to stay there. Give your brand the position it deserves. 85% of all Internet traffic is generated through search engines. Websites that are on number one of the search engines receive the maximum traffic and we can help you reach there.